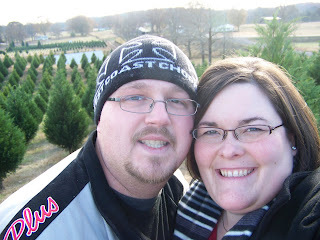 We went to Beaver's Christmas Tree farm today. This is the second year we have gone and it is always so much fun. As soon as we pulled up, Ben found the perfect Tree. As Linus would say, it only needs some love Charlie Brown! We hiked to the top, of course! 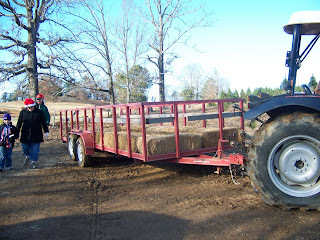 But I did get to take the hayride to the bottom! 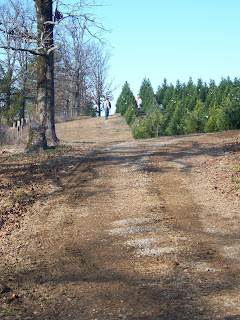 We finally found our tree but poor Ben had to fight to get it cut down. Between the cut on his hand from a run in with a knife in our dishwasher this week and the dud of a saw they gave him, he earned his "best hubby" award. 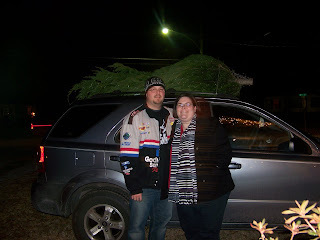 They tied the tree to our car and off we went. 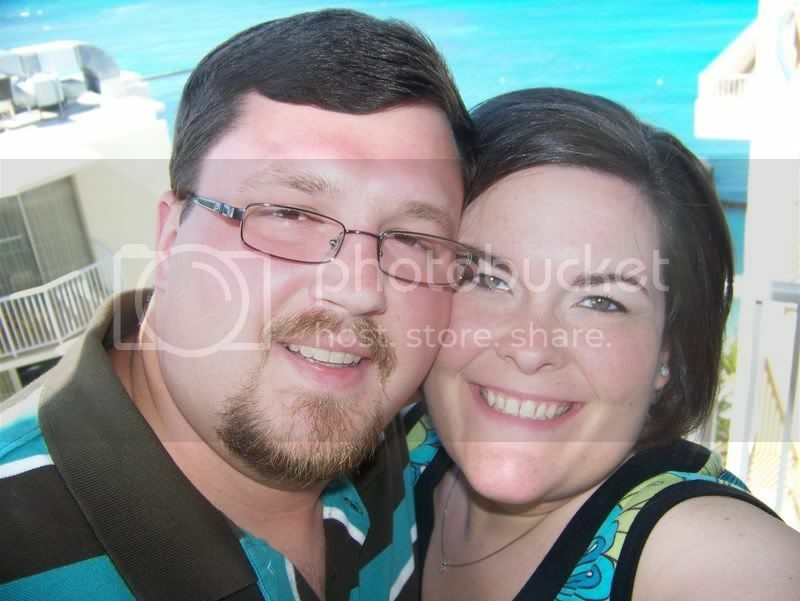 Here is our 2008 Norman Rockwell picture. Happy Holidays! It sounds like you had a wonderful time. 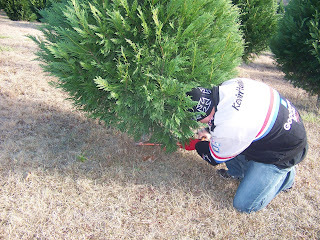 I have never had a real tree for Christmas. Oh, Cassie! Seriously? 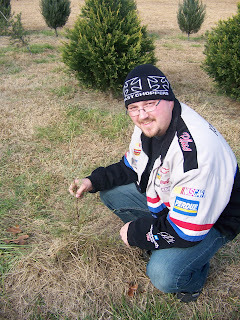 We had a fake tree I think when I was little but all of my Christmas memories include a real tree. Every other year or so I decide we need to get an artificial one but I never can bring myself to do it! 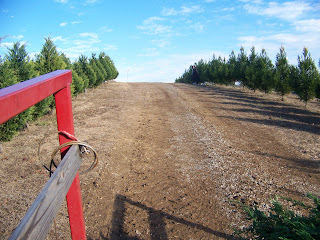 We go to Beaver's to get our trees as well. We were SUPPOSED to go on Saturday as well, but Teale came down with the stomach crud at about 11 on Friday night, so needless to say, we still don't have a tree.